Personalised Stickers. 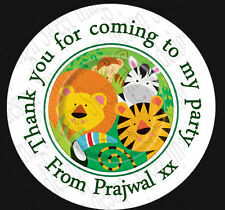 They can also be used for drink bottle labels, party boxes & food labels. 1 sheet = 35 Stickers. making your party that little bit more special. AND WE WILL SEND YOU AN INVOICE FOR THE CORRECT AMOUNT. Primarily we make seed favours but we like to keep busy and started making lots of other products including Kraft labels and tooth fairy gifts. 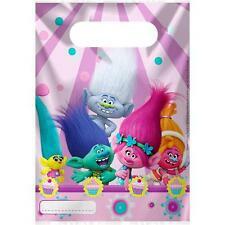 10 x Children's Party Bags. The bags are large enough to fill with sweets and toys. These are perfect for filling with Sweets, Candy, Marshmallows, Fudge, Toffees, Liquorice, Biscuits and much more. 50 Cellophane Party Treat Bags with 50 Silver Twist Ties. 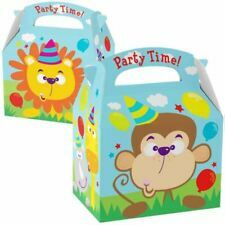 These Cellophane Bags have an adorable safari jungle design with a cute Giraffe, Lion, Elephant, Parrot and a Monkey swinging from a tree on the front and back. These plastic favor bags feature a fun design of helicopters, trucks, planes and busses all surrounding a large "1st" headline. Party Supplies. 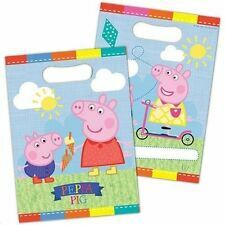 X20 Party Bags with Long Ear's Very cute Presentation Bags ideal for Easter Party's Fill with Chocolate , sweets or anything of your choice and tie the ears for closure . Each bag measures approx ... 22cm X 13.5cm x 6cm These are plastic . 8 x BUNNY PAPER TREAT BAGS. These could also be used as the base for a wild animal puppet craft activity. Kids party tableware. Party bags. 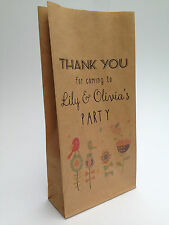 Party bag favours. Bag size is 130mm wide x 255mm high x 88mm deep. Just lots and lots of funky craft and party supplies! 8 X SAFARI ADVENTURE LOOT BAGS. LOOT BAGS ONLY, NO FILLERS INCLUDED. Choose your required item and amount. 12 X FARMHOUSE FUN CELLO ZIPPER TREAT BAGS. 8 X LLAMA LOOT BAGS. IDEAL FOR ANY CELEBRATION. IDEAL FOR ANY CELEBRATION. 8 X PINK CAT PAPER TREAT BAGS. 8 x JUNGLE FOREST FRIENDS LOOT BAGS. LOOT BAGS ONLY, NO FILLERS INCLUDED.